Fence removals starting as low as just $199! 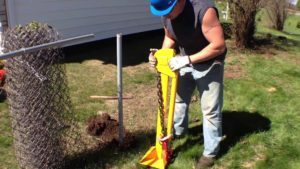 The best price you will find for fence removal services guaranteed in writing! We beat any other written estimate by up to 10%! Trash Can Willys has removed hundreds of fences through the years. Concrete footings, regular stake based fences, it doesn't matter we will get the fence posts up and removed. Check out all of our junk removal services! We Make It Fast & Easy To Give You A Fast Affordable Quote!